GAMMA-RAY is just the right tool for you as a CAD user who makes his constructions in order to produce high quality photos from the 3D models in next to no time. You can create real illumination through real daylight without specialist knowledge. Create films with GAMMA-RAY in which you can already walk through a new building with your customers before it is built. In addition, you can animate sequences of movements and make light animations. You can easily produce interior and exterior panoramas by which the observers can obtain an impression of your product by themselves. They alone are in control, which means that they decide how they move in an interior or from which side they want to look at an object from the outside. Thus, the customers are not limited to a predefined sequence but can decide for themselves what they want to see. All these results can be used in your brochure, on your presentation CD and on your web page. Interior panoramas can also be shown on the iPhone© and iPad©. The unique hybrid rendering and further modern algorithms make it possible to render in real time. Move your objects on the screen in color. For this you do not need an expensive graphics card which cannot produce the good quality you expect anyway. 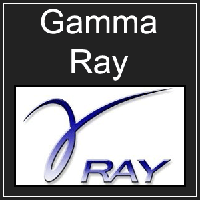 GAMMA-RAY calculates all rendering effects by software and uses multiple CPUs for the calcuations as well as the processors of the graphics card. Via this parallel calculation the images are calculated in shortest time in highest quality. Even in this area GAMMA-RAY is different to other renderers, by dividing the tasks intelligently between the available processors so that the calculations can perform even more efficiently. With the bluescreen technology it is possible to integrate plants, animals, people, vehicles etc. into the images without an effortful construction. Instead of a 3D model you work with a photo which you can place into the scene. The clearly arranged menu structure allows even beginners to produce the first photo realistic image in a short time. Materials can be assigned easily with the mouse via drag & drop. Changes of your settings are immediately visible. Via the automatic mapping algorithms, the program calculates effortful scaling of the materials for the user so that they are displayed with their actual sizes. 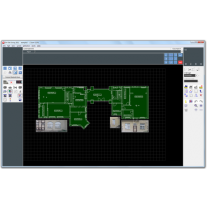 3DGENERATOR, ACAD-BAU, Alphaschift, ARC+, ArchLINE XP, ArCon, ArCon Küche, ARRIBA CA3D, Artifex, AutoCAD, BauCad K+R, Bauplan, Bauset, BiCAD, BoCAD-3D, BORM-CAD, BricsCAD, CAD+T, CAD400, CADdy, CADStone, CADVANCE, CATIA, Compass-CAD, CS-CADI, DataCAD, DiaCAD, Drawbase, Elite NT, GeomaticsSuite, Helix Design System, HiCAD, hsbCAD, IronCAD, MCAD, MegaCAD, MegaTISCHLERpro, Messerli-CAD, Micado, One Space Designer, paletteCAD, Pointline CAD, ProLignum 3D, ProSteel 3D, roncoFIX, RSO, SEMA Holzbausoftware, Sinus-CAD, SketchUp, speedikon A/M/W/X/XXL, Spirit, Swiss all CAD, swissPrecision Engineer, TCP, Tischler-3D, Trias 3D, Vector CAD, Vi2000, ZWCAD. Via these interfaces you can load CAD data from Allplan, ArchiCAD, SolidWorks, 3D-Studio, Cinema4D and many more. Forget statements about data transfer from your CAD to a renderer that defer to problematic standard interfaces like DXF or VRML. GAMMA-RAY is able to directly load the 3D data of many CAD programs so that the data transfer is unproblematic. 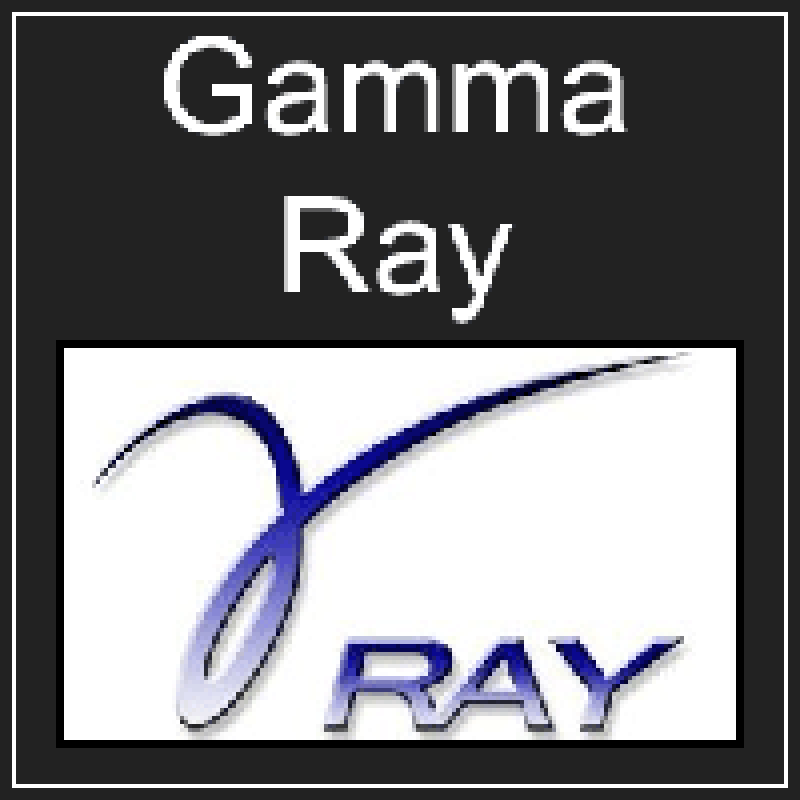 In many cases GAMMA-RAY directly applies camera positions, light source parameters, material definitions, and so on so that these do not have to be defined again. Therefore it is possible for you to specify information for rendering while you still are at the stage of construction, resulting in an almost finished photo when you first display the project within GAMMA-RAY. 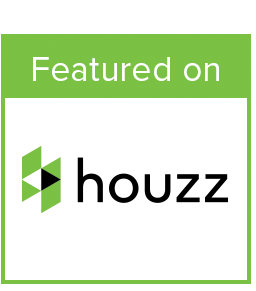 This certainly reduces the time that you need for the rendering and therefore also your expenses. 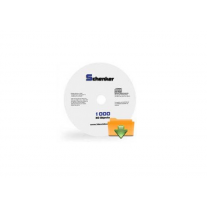 You can produce your own parameter catalog, including your individual definitions which are made to measure the needs of your office. 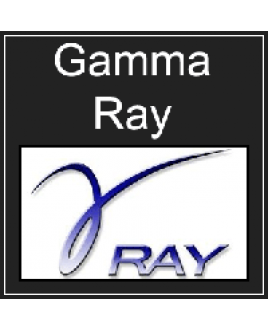 GAMMA-RAY also has standard interfaces which can be used if required. 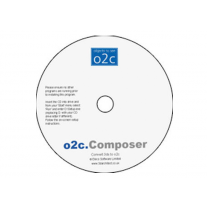 The program uses the official documentation of these interfaces. Rendering always had the problem that the results looked artificial even if one has expended high efforts on the illumination. The reason was that the 3D scene was illuminated with artificial light. Or you have used the effortful Radiosity method, where many settings had to be made that strongly influence each other. After a long calculation time you probably noticed flawed effects in the images, resulting from flaws of the method itself. With GAMMA-RAY, this is a thing of the past. With only few mouse clicks you can easily produce real light flows of daylight, light sources and emitting materials without the need for great knowledge about illumination. The program automatically calculates atmospheric light to make your objects more plastic. If required, further light sources can be added to complement the real light in certain areas. Even today the rendering has to be restarted with all settings when slightly changing the construction retrospectively. However, it is an everyday occurence that you construct a 3D object, open it in the renderer and realize that you have to alter the construction. Thus, GAMMA-RAY as the rendering program for the CAD user has from day one been designed so that you can change the geometry, then load it into the renderer again where you can easily add the previous settings. Therefore, you can continue with just the previous settings. Of course, this saves a lot of time opposite to other renderers where you have to start anew over and over again. So, you drastically reduce the expenses for rendering. If your PC has multiple CPUs available (Dual-Core or Quad-Core, i5/7, …), they are used parallely for computation-intensive calculations. Additionally, Gamma-Ray also uses all available processorsof your graphics card, thanks to the function GPU Turbo. This leads to optimum results in a minimum of time. Like every rendering program, GAMMA-RAY offers bitmap materials , i.e. the possibility of mapping images on polygons. Additionally, you can also use three-dimensional procedural textures which permeate the objects (for example for the display of full woodwork bodies). AVI films can be mapped on polygons in the form of animated materials. In the animation this film is then presented on the polygon. GAMMA-RAY displays the materials in a toolbox. The assignment takes place via drag & drop. You simply drag the material with the mouse on the polygons or the object which you want to map with the material. The result is immediately visible. The material settings can be changed either interactively with the mouse or precisely via entering the values. GAMMA-RAY automatically specifies which calculation method has to be used for the individual surfaces to obtain an ideal relationship between displayed quality and required time. The program can choose from basic rendering methods to the optimized Raytracing method. For you this means that in comparison to other renderers the calculation time is strongly accelerated even for high quality images. In order to adjust artificial light, you only have to click on the light source with the mouse to then move the position and the orientation interactively. The cone of light will move in real time. The result of the colored display can also be seen in real time. The same is true of the shadow casted by the objects. In this way you can playfully define illumination. You can structure your materials into your own catalogs. It is therefore possible to lay out a neat aggregation of your textures with generic terms (e.g. stones, tiles, brick, …). All calculations are internally executed in the high HDRI quality to realize the best color quality. This can be exported as a HDRI file to use it with other programs. The program automatically calculates the direction of the sunbeams via the entry of the geographical place, or the lengths and degree of latitude of the desired place in combination with the date and the time. Thereby you can create exact calculations of the solar radiation. Textures with fine lines thinner than a pixel often pruduce Moiré Effects that strongly disturb the photo realistic image. These problem areas can be optimized with some texture filters and images filters of GAMMA-RAY so that a natural image impression arises. As opposed to many other rendering programs, the database of GAMMA-RAY processes polygons as polygons and not as triangles. GAMMA-RAY uses an own software method for the rendering and therefore does not have the drawbacks of a hardware rendering, for example the need for a large amount of data – a result of bad rendering algorithms. On the one hand, GAMMA-RAY uses a considerably lower data volume for the loaded 3D data, on the other hand errors that are algorithmically contingent on a triangle segmentation disappear. For the users this means that they can process considerably larger amounts of data with GAMMA-RAY. This is additionally supported by the integrated data compression by which 3D constructions with a higher need of memory can also be processed with low main memory. Often, one would for example want to look into a house from above, however, the roof construction impedes this. In such cases you can now define exactly at which places the object shall be cut open. All polygons outside of the defined area will then be hidden. GAMMA-RAY has a Windows user interface which was designed with a clear structure in order to meet the needs of rendering users. Frequently used functions like positioning of the camera, the light sources, the objects, and so on can be easily executed with the mouse. The individual operation groups are easily accessable via icons. The dialogs are neatly grouped as well. The user interface is adapted to the Windows philosophy. The control of the mouse menus is object-oriented. This means that a click on the right mouse button will call up submenus which correspond to the selected mode. With the Navigator you can quickly switch between the modes for the camera adjustment. In order to let observers of your animation influence the display by themselves, you can produce panoramas which are displayed by an optimized player. The observer then moves in interiors or looks at objects from the outside from different directions. These panoramas also can be integrated into your web pages and advertising CDs or be displayed on your iPhone© / iPad©so that they can be presented optimally. Panoramas can be integrated into presentation programs by the creation of QuickTime MOV-files. With GAMMA-RAY it is possible to produce camera paths. Objects, light sources and materials can be animated as well. The definition of the animation follows easy steps. Therefore, CAD users have a comfortable solution to produce animations for their areas (walkin in and around a house, moving mechanical parts, creating sun simulation over the day in connection with the calculation of the sun position, driving in a car along a street train, …). In many rendering programs a variety of parameters have to be adjusted after loading geometry before one sees the “first colored image” on the screen. Thus, new users who do not know the meaning of the parameters yet will need a few hours before being able to produce a first colored image on the screen. GAMMA-RAY offers the possibility to display the geometry in the colors and materials provided by the CAD directly after loading. Subsequently you can change the individual surfaces step by step and are able to check the result immediately (thanks to the fast display speed). With the bluescreen technology, GAMMA-RAY offers the possibility of placing people, animals, plants, vehicles, and so on in projects without having to design them effortfully. Simply place a polygon in the project, then put the image of the respective texture (e.g. a tree) on it and indicate this texture as a bluescreen texture. Just as in the old bluebox technique for filmmaking, the program will calculate the background of this texture transparent so that the tree is placed in the project. Of course, only the shadow of the tree becomes displayed during the shadow calculation and not the shadow of the polygon. The tree can be lined up automatically by corresponding settings so that it is always visible from the front. Mapping describes the way in which a texture is covered on a polygon. GAMMA-RAY takes this off the user’s shoulder through automatic mapping algorithms. Unlike other rendering programs, in GAMMA-RAY textures do not have to be scaled and placed tediously; you simply assign the texture to the polygon. However, if you still want to interfere, you of course have extensive possibilities to do so. GAMMA-RAY automatically recognizes the edges that should be smoothed and calculates an edge smoothing for those only. This is executed for object edges, shadow edges and edges within textures. In addition you can smooth complete polygon areas to get for example correct displays of reflections and transparencies. With the high-quality full-screen anti aliasing you can create the most professional improvement for the display of edges and textures. GAMMA-RAY makes it possible to fit a geometry into a predefined perspective. You can for example fit a constructed house into the photo of an empty site. Two procedures are available. In the general method you work with point pairs which you specify in the project. If a right-angled situation is present (for example fitting in of winter gardens, placing of furniture in a room, and so on), use the easy placing of two polygons.